One of the most prevalent types of litter we see on our favorite beaches, rivers and trails are single-use plastic bottles. They are ubiquitous; floating down waterways, tumbling through fields with the wind, or lining the highways filled with yellow liquid (does anyone else see that as often as we do?!). Americans use more than 50 billion single-use plastic bottles in one year alone, and with a recycling rate of less than 30%, more than 30 billion of those bottles ended up in landfills, urban areas, open space, or in the ocean. In addition to the terrifying amount of garbage that single use bottles generate, the energy required to produce them is also intensive. It is estimated that the petroleum used to produce the amount of bottles used by Americans each year would be sufficient to run over 1 million cars for an entire year, and that is not accounting for the energy needed to ship and transport the bottles from production facilities to the consumer. One of the most prevalent types of litter we see on our favorite beaches, rivers and trails are single-use plastic bottles. 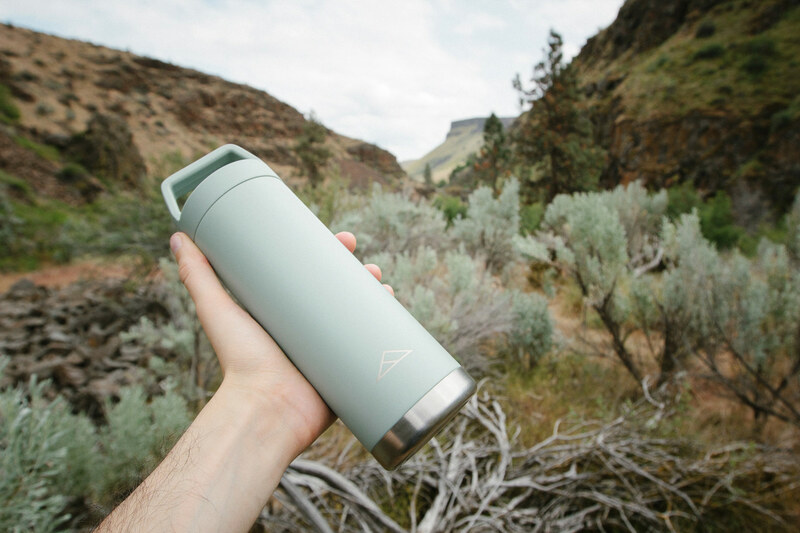 Spurred into action by these horrifying facts, and our need to reliably carry water (or beverages) with us at all times, last year we decided to start tackling the task of designing and building the ultimate water bottle. Primarily, we wanted one that was responsibly manufactured and could stand up to a lifetime of refills and heavy duty use. 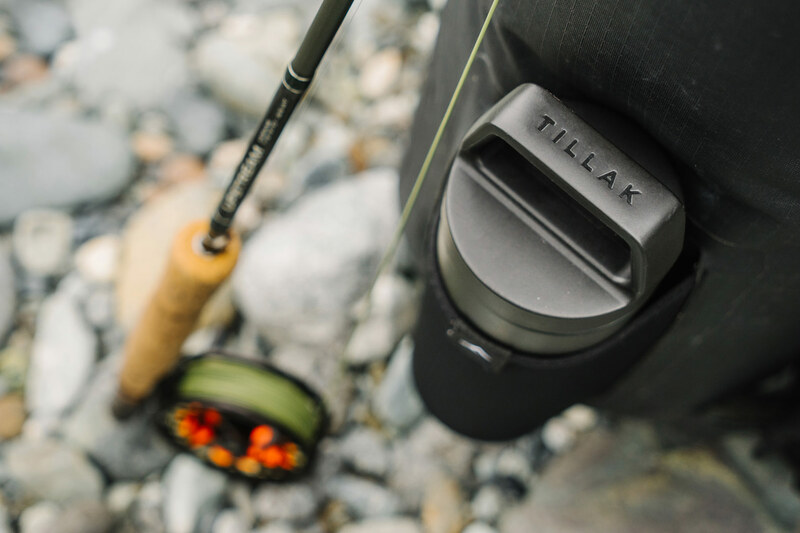 We know there are already a multitude of contenders out there making water bottles that get the job done, but there were a few design features and manufacturing methods we felt were missing from the available options on the market. Firstly we needed a bottle that was durable enough to last for years and suited the needs of both everyday folks and outdoorsmen/women alike. So due to its highly durable nature, high recyclability rate, and chemical free properties, we decided to go with 18/8 food grade stainless steel for the bottle body. To keep cold things cold and warm things warm, we rolled it into a double wall, vacuum sealed form, with insulation that extends up into the threads at the top of the bottle to prevent any warmth from creeping in or any heat from escaping. This design allowed us to attain insulation properties that will keep your cold drink cold for over a day, and your coffee hot for over 12 hours...and to keep doing that for thousands and thousands of refills! Secondly, we wanted an ergonomic and highly functional lid, so we designed ours from the ground up, to fit your fingers comfortably while carrying, or to easily be lashed to your pack with a carabiner or strap. Materials-wise, we opted for 100% recycled, BPA-free, Polypropylene thermoplastic with a low-mounted silicon seal that keeps your beverage inside the bottle, where it's supposed to be. Oh yeah, and we also wanted it to look good, and we believe we accomplished that! Finish-wise, we sought after a long-lasting and environmentally friendly way to apply color to our bottles, so after much digging and testing, we arrived with our Duripan™, textured and waste-free powder coat finish. Unlike wet paint applications that have high waste rates and produce large amounts of VOCs (volatile organic compounds), our Duripan™ powder coat is electrically adhered to the bottle in dry form and then baked through an entirely VOC-free process. The end result is a highly durable and slightly textured finish that prevents slips and drops and keeps our bottles looking good year after year. And we didn't stop there - as we are currently doing with our entire line of products, we worked extensively with our design team to create and source plastic free packaging with water based dyes and 100% recycled cardboard, that not only protects our bottle on its way to you, but is shaped such that it allows it to be shipped en masse while taking up the smallest amount of volume possible. 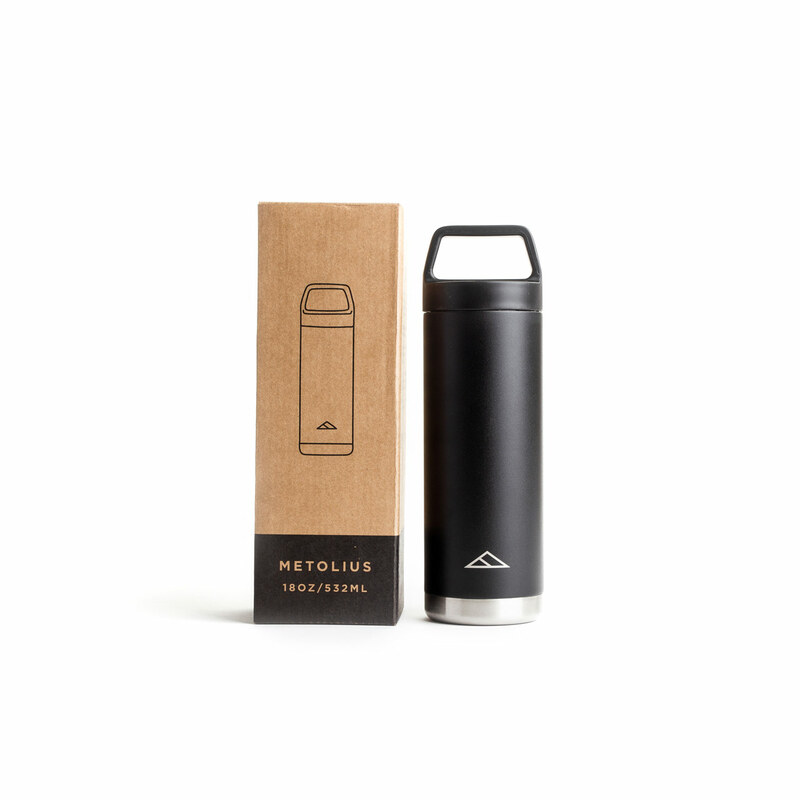 All said and done, we've built our Metolius insulated bottles to work well, look good and to last...to last a lifetime for that matter. That's why they have a lifetime guarantee, so you can fill and refill them as much and as often as you'd like, for as long as you wish. Because the longer our bottles last, the more single-use plastic we can keep from finding its way into landfills, or worse, our forests, our rivers and our oceans. All said and done, we've built our Metolius insulated bottles to work well, look good and to last...to last a lifetime for that matter. For those of you who like numbers and stuff, our 32 oz Metolius bottle requires approximately 195 megajoules (MJ) of energy to produce, and our 18 oz bottle approximately 155 MJ. The average single use PET plastic bottle (16 oz) and cap require roughly 2.5 MJ to produce, so it takes around 40 refills of our 32 oz bottle and 60 refills of our 18 oz bottle to offset the energy of their production when compared to using single use plastic bottles. Keep on refilling beyond that and you're only doing good things!